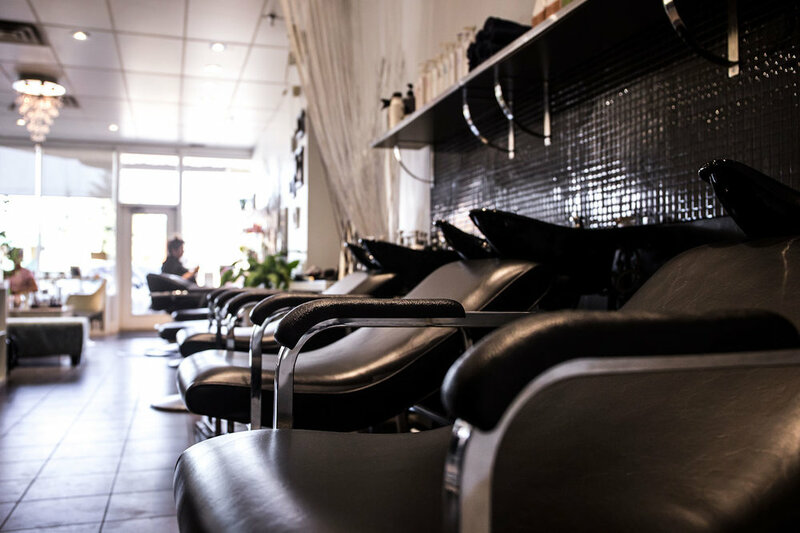 ponytails + horseshoes IS A Boutique hair salon in EDMONTON’S GARNEAU AREA offering gender-neutral pricing, sustainable hair products and a team dedicated to positive experiences. We offer professional, inclusive hair services in the heart of Garneau, Edmonton. SINCE 2009, the ponytails + horseshoes team have BEEN DEDICATED TO BRING WORLD CLASS KNOWLEDGE AND SERVICES TO OUR CLIENTS. We offer gender-neutral pricing, sustainable hair products and a team dedicated to positive experiences, ensuring you look and feel your best. We share a vision, passion and knowledge for our industry that translates to every team member and client alike. We love bringing out the best in our client’s and everyone is welcomed through our doors. Gender Free Haircut Club - April 14th! The 12 Days of PoHo Christmas Sale! We love making your blonde dreams come to life, whether you’re seeking a total 180 or just looking to ‘have a little more fun’. We consulted our resident blonde aficionado, Sheneen Kasur, to illuminate us on this hot topic. Ponytails + Horseshoes is ecstatic to be named finalists for the first ever Alberta Hair and Beauty awards in 2 categories! A good haircut, style or colour are simple solutions for any individual's desire to look and feel amazing, regardless of age. As professional hairstylists, we continue to learn and gain inspiration from each others' travels, experiences and continued education, remaining on trend and on point, ready to inspire you within your individual style. Pay parking is available in the front lot (first half hour is free) and underground. Pay machine is located in the underground lot, or by using the app Pay By Phone. ponytails + horseshoes operates proudly with eco-friendly initiatives.